Jake Guentzel's time with the Pens will come. It's impossible to truly analyze a draft until the drafted players start actually doing things for their club. Whether it be through developing in the NCAA, AHL or junior hockey, players take time to mature. An elite level talent, Daniel Sprong has been tearing it up in the QMJHL the last four years. His highest season output would come during the 2014-15 season when he had 88 points in 68 games. Last year he would play in 18 NHL games for Pittsburgh scoring two goals before being sent back down to Charlottetown. This year due to injury he has yet to play a game in the “Q” but even with that in mind, Sprong still has a 1.20 points-per-game average. Cause he has 202 points in 168 career games. Dominik Simon has seen very limited time in the NHL, but that has more to do with the Pens roster needs than it does with his play. He had 48pts in 68 games for Wilkes-Barre Scranton last season and currently has 15pts in 28 games for the Baby Pens. Frederik Tiffels is still playing NCAA hockey at Western Michigan where he has 10pts in 15 games this season. Nikita Pavlychev, currently playing NCAA hockey at Penn State, has 8pts in 15 games. The 2014 class has seen its 1st round pick Kasperi Kapanen traded to the Toronto Maple Leafs as part of the 2015 Phil Kessel trade. Sam Lafferty is at Brown University, where he has 18pts in 14 games. Anthony Angello is at Cornell, where he has 9pts in 13 games. Jeff Taylor is at Union College where he has 18pts in 20 games. Jaden Lindo plays for the Sarnia Sting of the OHL, where he has 14pts in 27 games. The 2013 class has two prominent names in Tristan Jarry and Jake Guentzel. Jarry is currently serving as Marc-Andre Fleury's backup due to an injury to Matt Murray (more on him later) and has played stellar hockey in Wilkes-Barre. Last season in 33 appearances, he posted a 2.69GAA and a .905 SV%. He has improved upon those numbers this year, with a 2.15GAA and .921SV% through 15 appearances. Guentzel played 5 games for the Pens this season, with 4pts in those games. Down in WBS, he's having a great season with 34pts in 26 games for the Baby Pens. He will claim an NHL roster spot sooner rather than later. Ryan Segalla is currently playing for the Pens ECHL affiliate, the Wheeling Nailers, and has 6pts in 26 games. Dane Birks is at Michigan Tech, where he has 6pts in 23 games. Blaine Byron is at the University of Maine, where he has 20pts in 20 games. Troy Josephs is at Clarkson University, where he has 13pts in 18 games. 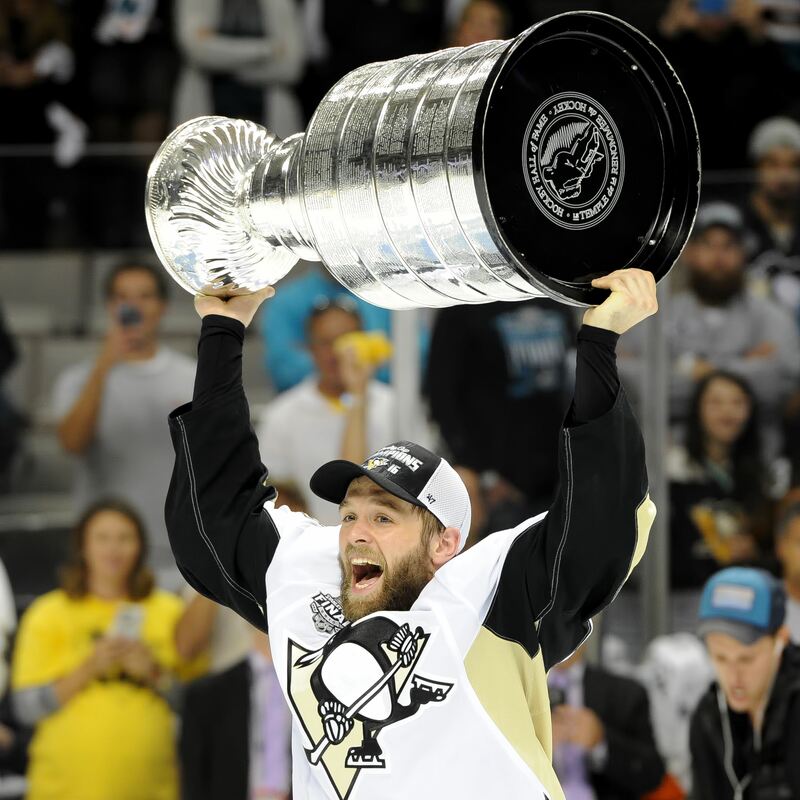 The 2012 class has stormed the Pens NHL roster with three regular contributors. Derrick Pouliot, Olli Maatta, and Matt Murray are all regular faces around the Pens locker room. All three played roles in the Pens Stanley Cup championship this past season, with Murray perhaps having the brightest future of the three. Murray has at the very least equaled Fleury's play and has possibly surpassed him as the team's No. 1 netminder. Regardless of the current state of the net, the future of the crease looks to be Murray's. Maatta and Pouliot have had some rough patches, with the latter taking longer to develop. Still, they both have made important contributions on the blue line. Oskar Sundqvist, so far a limited NHL contributor, has 30pts in 29 games his season in WBS. Teddy Blueger has 3pts in only 9 games for WBS, after being injured during training camp. Matia Marcantuoni was traded in February 2016 to the Arizona Coyotes in exchange for former Pens pick (6th rd., 2007) Dustin Jeffery (currently playing in the Swiss NLA), Dan O'Donoghue (currently retired) and James Melindy (currently on the ECHL Wichita Thunder, the Ottawa Senators affiliate). Sean Maguire is currently in his 1st season in Wheeling, where he has made 7 appearances in net with a 3.42GAA and a .883SV%. Clark Seymour is playing for HC Blozano of the Austrian Hockey League (known as the Erste Bank Eishockey Liga, or EBEL). Anton Zlobin currently plays in the VHL, a Russian hockey league, for the Dynamo Balashikha. Joe Morrow was traded along with a 5th rd. pick in 2013 to the Dallas Stars for rental player Brenden Morrow (currently retired) and a 2016 3rd rd. pick. Scott Harrington was traded in to the Maple Leafs as part of the Kessel deal. He's currently on the Columbus Blue Jackets roster. Dominik Uher is currently playing in the Czech league for the HC Sparta Praha. Josh Archibald still resides in WBS, where he has 14pts in 31 games this season. 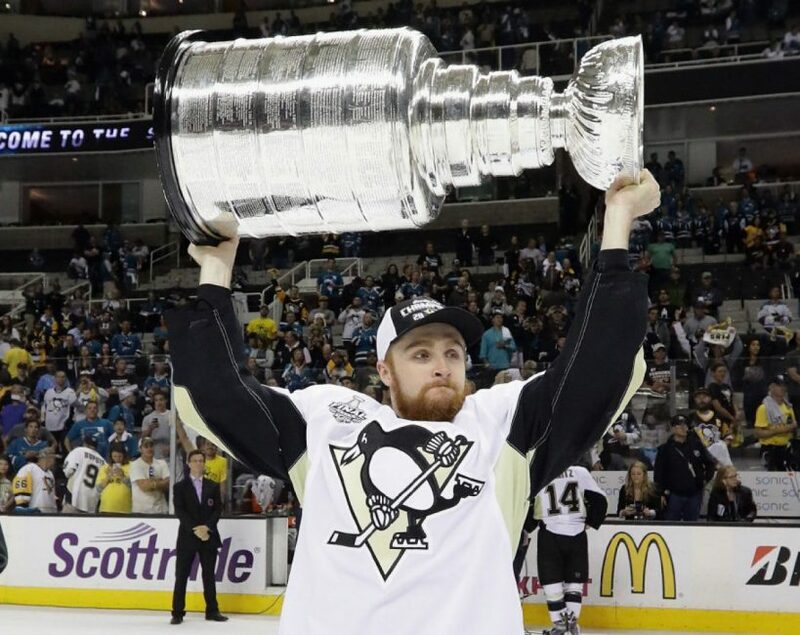 Scott Wilson split time last season between the Pens and WBS, putting up an impressive 36pts in 34 games for the Baby Pens. This year, he has claimed a regular roster spot with the Pens and currently has 10pts in 35 games. The oft injured Beau Bennett currently plays for the New Jersey Devils after being traded for a 3rd round pick in the 2016 draft (Connor Hall). Bryan Rust has earned a full-time roster spot this season after splitting time last year between the NHL and Wilkes-Barre. He currently has 16pts in 35 games after having 11pts in 41 games last season. Tom Kuhnhackl has been injured this season, but has 5pts in 23 games for the Pens. He had 15pts in 42 game for the team last season while splitting time with WBS. Kenny Agostino was traded in 2013 to the Calgary Flames, along with Ben Hanowski (currently playing in the DEL, or Deutsche Eishockey Liga) and the Pens 2013 1st rd. pick for rental player Jarome Iginla. Joe Rogalski is currently retired and is the head coach of SUNY-Fredonia (State University of New York at Fredonia) in the ACHA III, division 3 collegiate hockey. Reid McNeill was traded in late 2016 to the St. Louis Blues in exchange for RW Danny Kristo, who currently has 3pts in 13 games for WBS.